Your hearing aids are very delicate, complex pieces of technology. 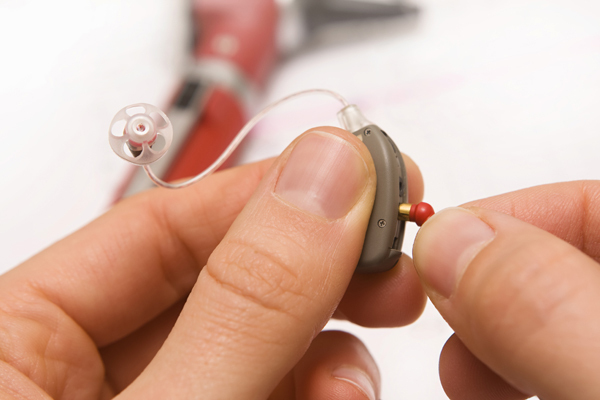 Despite proper care and maintenance, there are times your hearing aids may malfunction. Sometimes, professional hearing aid repairs are necessary. However, a number of device issues can actually be solved at home. But, in order for you to be able to solve hearing aid issues at home, you have to know how to troubleshoot these issues. Here is a great guide for troubleshooting hearing aid issues at home. The first thing that you should do if you cannot hear any sound is to make sure that you didn’t turn down your volume by accident. If your hearing aid has a volume wheel, then you may have accidentally lowered the volume when you were handling your hearing aid. So, try adjusting the volume levels to see if the sound comes back. If there is a t-coil option on your hearing aid, then it is also a good idea to make sure that the switch is turned off. If neither of these work, then you should have your hearing care provider look at your device. Whistling noises are a major indicator that your hearing aid has not been put in properly. They can also mean that something such as a hat, hood or scarf is affecting the sound coming into the hearing aid. So, you should try to reinsert them, and also, remove any clothing items that may be blocking sound from properly entering the hearing aid. Wax buildups can also cause this issue. So, you should have your hearing healthcare provider check your ear to make sure that that isn’t what has happened. This problem often means that the hearing aid has accumulated a lot of dirt. You can attempt to fix this issue by cleaning your hearing aid yourself. You should use your hearing aid cleaning kit, and clean the speaker and microphone. You should also try to remove any wax that has built up on the device. Wax buildups causing blockage could be why the sound is coming out very low. You may also need to clean the battery compartment. Cleaning your device in this way may be able to fix the low sound problem. If you try the above troubleshooting tips and still experience issues with your hearing aids, schedule an appointment with your hearing care provider. Your hearing specialist will be able to evaluate the performance of your devices and determine if any hearing aid repairs are necessary.